The Guys Wanted a Chance to Demo the Sirens! 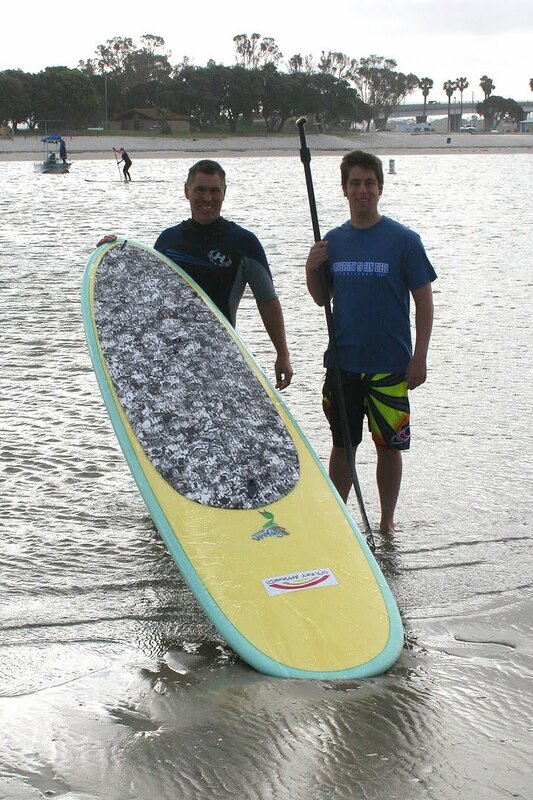 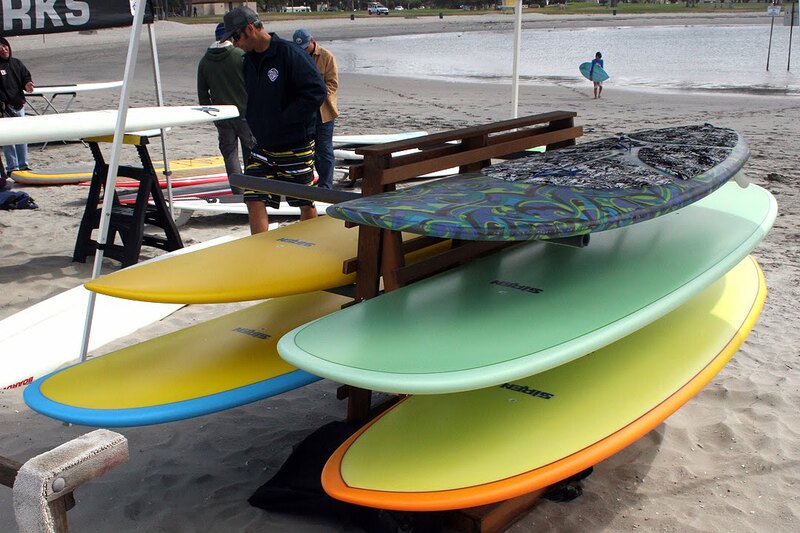 New Siren SUPs on Display. 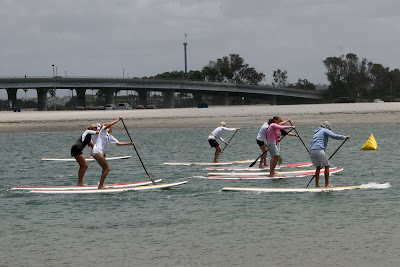 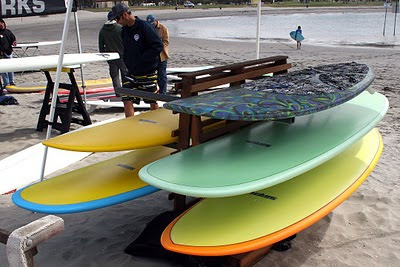 Kristy Murphy's Siren Surf Adventures and SIREN SUP turned heads at this year's Stand Up Round Up on Mission Bay in San Diego this weekend. 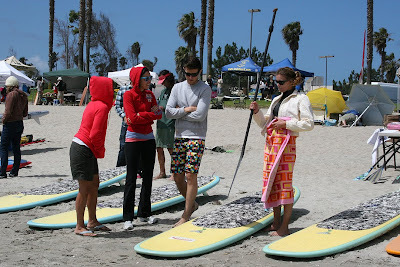 SIREN SUP was the only women's specific SUP boards on the beach and the beautiful shapes and rad colors had not only all the ladies on the beach flocking to demo boards, but the guys could not resist as well! 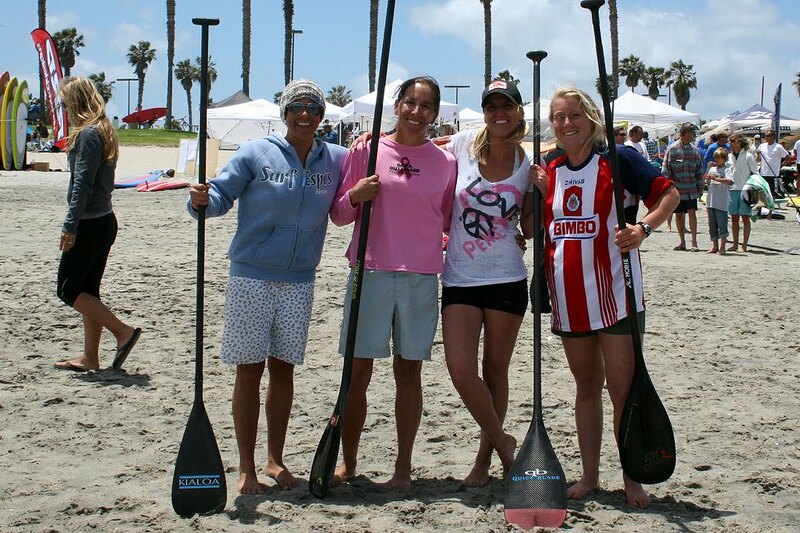 We had a variety of Kialoa Paddles on hand to paddle with, from the adjustable Hinalea to the brand new women's specific paddle, the Pipe. 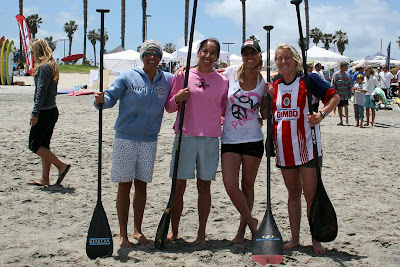 Kristy took part in the first annual Hobie Knockout Sprint race and ended up coming in 5th in the women's open sprint. The stiff wind made for an exciting race with record breaking down wind times to upwind collisions when all the paddlers got blown off course and into each other! 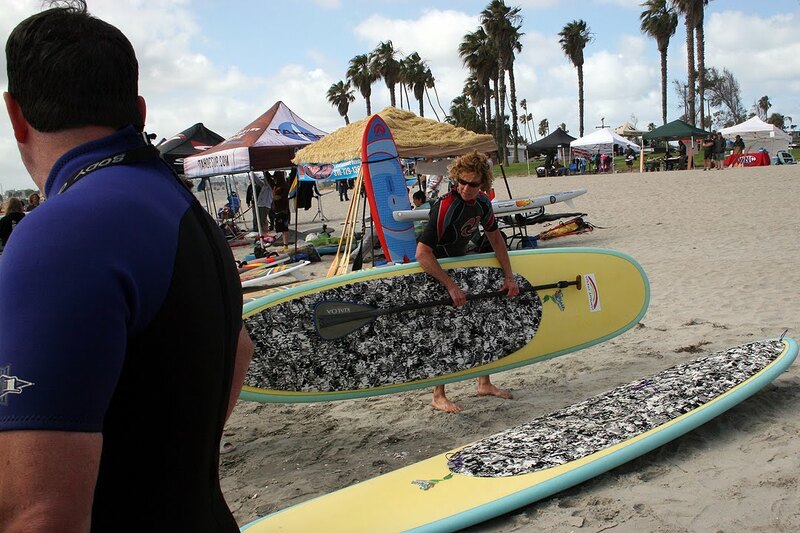 A great time was had by all and we are already looking forward to next years Round Up and Knockout Race!